Contacted by NBC News, representatives for Kushner and Manafort declined to comment. A lawyer for Trump Jr. did not respond to multiple requests for comment. Veselnitskaya, in an exclusive interview with NBC News, denied having any connection to the Kremlin and insisted the meeting was to discuss sanctions, not the presidential campaign. The meeting was arranged between Trump Jr. and music publicist Rob Goldstone, who has ties to Russia. 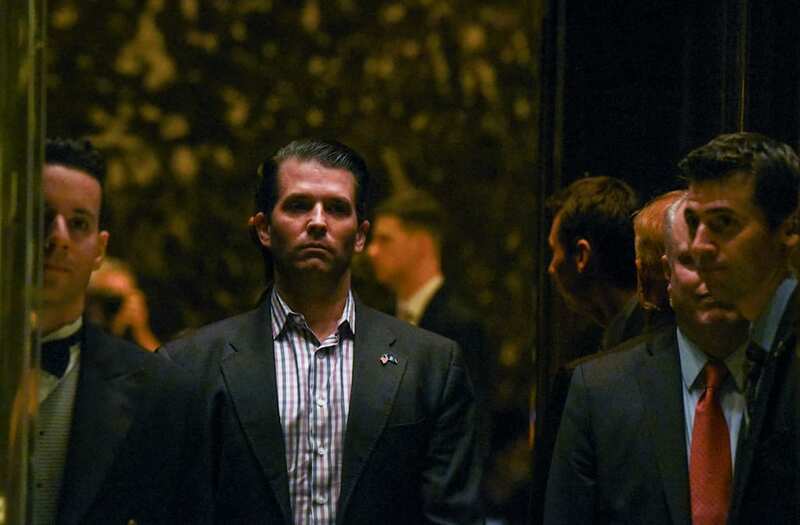 In an email exchange released by Trump Jr., the president's eldest son wrote "I love it" when told about possibly getting his hands on material potentially damaging to the Clinton campaign.